In this day and age, it is common for many of us to pile more and more responsibilities and tasks onto our to-do list in an effort to literally do EVERYTHING. What we don’t realize is that, by tacking on more items, we run the risk of becoming overwhelmed and not getting anything done. Let’s face it, we are all guilty of procrastination. We know we should be more productive at work, as well as at home, and we read endless life hacks to help us overcome our bad habits (like scrolling mindlessly through Facebook instead of writing that report), become more productive and manage our time better. But, how often do we incorporate these tricks and tips into our daily lives and actually see a measurable change? Before we look at ways to boost your productivity, let’s look at some of the reasons you may be lacking it in the first place. It happens to everyone at some point in time. No matter how hard you work or how dedicated you are to a project or idea, you can eventually become burned out. Not only will you be less productive, but your motivation also takes a hit. However, what most people don’t realize is that there may be outside forces at work — and they are things that you can actually change. Let’s take a moment to discuss five reasons that you may be lacking motivation and productivity. It is a common misconception that multitasking is an effective way to get more done in a shorter time period, when the opposite it true. In fact, some studies indicate that when you are doing too many activities at one time, it can be more of a distraction and lead to waste. Not only that, but it can also result in your becoming overwhelmed. Overwhelm often leads to a decline in quality. This is why it is a good idea to focus on one task at a time — focus is the key to productivity. Sometimes it is not the amount of work or its complexity that demotivates us — sometimes it’s the environment in which we perform these tasks. Whether you are aware of it or not, your work space can have a huge impact on how productive you are. Researchers at the Princeton University Neuroscience Institute found that objects stimulate the brain and when there are several objects within your line of vision, they compete for your brain’s attention. Ensure that your work space is free from unnecessary clutter and be careful about the way that you arrange your office furniture. It may seem counterintuitive to suggest that the more work you do, the less productive you are. However, this is often the case when people take on too much and don’t take the time to rest. In his study, University of Illinois psychology professor Alejandro Lleras concluded that when we work for more than 50 minutes at a time without breaks, our productivity slowly declines. We become less motivated, easily distracted and the brain essentially becomes “numb” due to all of the continuous stimulation. Nearly everyone has heard of “time management” at some point and has a basic understanding of what it means, but why is time management so important? 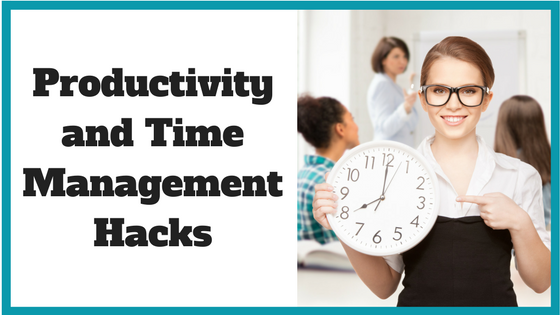 Effective time management gives you freedom and peace of mind. Using your time effectively means more down time to do what you please, instead of being bogged down by endless tasks and feeling like you never have enough time. As humans, we thrive on having a sense of control in all aspects of our lives. When we don’t have control over something, we feel threatened and insecure. And while we can’t control time itself, we do have a say in how we use it. Fine-tune your focus – In the past, being someone who could multitask was considered a good thing. However, numerous scientific studies have shown that multitasking is a bad idea. In fact, by attempting to multitask (switching rapidly from one task to another), you are actually at risk to make more mistakes and retain less information. What’s more, it takes an average of 23 minutes and 15 seconds to fully refocus your energy on a task after you’ve been distracted! Switch off – We have all fallen victim to notorious time wasters like the internet (specifically, surfing the web, checking Facebook and watching YouTube videos) and television (Netflix series binge, anyone?) at some point or another. So, a great way to better manage your time is to restrict the amount of time you indulge in these activities. The fact is, we all have the same 24 hours each day to get what we need to do done. So, how do you maximize those 1,440 minutes? There are countless studies being conducted on the negative impact of the distractions that fill our space from our constant companion. This is not just affecting young people, we are all falling victim to the ping and dings. A recent study revealed that Fortune 500 CEO’s average 28 minutes of uninterrupted productive minutes a day. On the weekend or the start of every week, organize your weekly work schedule and prioritize the most important tasks, as discovered in the previous tip. You could do a phenomenal job on one task, but if you neglect another your boss prioritizes, then they’ll just view it as a negative. As a result, it’s pivotal to free up as much time as you can so you can focus on the important tasks and get them done in a timely manner. Nothing is worse than feeling so shattered at work that you can’t keep your eyes open or focus on exactly what your boss is asking you. If you’re struggling with getting enough shut-eye, try to establish a nightly routine. Avoid stimulants such as alcohol and caffeine and instead drink chamomile tea. A bath can also be brilliant for inducing a deep sleep, as the temperature drop after we get out of the bath is proven to send us to sleep. With exhaustion being an acknowledged issue in the workplace there’s no excuse for staying up procrastinating on your phone or laptop late at night if you truly want to be productive at work. Establishing a habit of being early in your professional life will place you in a position of power and control. Leaving home just half an hour earlier in the morning will not only allow you to skip the traffic and have your morning coffee (or two) in the peace and quiet of an empty office, it will also impress you colleagues and those in charge. This extra time will allow you to get ahead with your to-do list without interruption, creating a highly productive attitude from the start of the day and allowing you extra time to deal with any issues that arise during the day. Every night, list out the top five most important tasks. This is not your errands or shopping list. Include only the most important tasks related to your top goals. Now that you’ve got your list, you’ll want to add a detailed verb to every action item and possibly a timestamp, as well. Getting up in the morning can be tricky, especially if you’ve got a long day ahead of you and a late night behind you. Here are some tips to get you leaping out of bed and into a productive mindset. 1. Eat a substantial breakfast – Gorging on larger dinners and skipping breakfast will leave you feeling sluggish and lethargic throughout the day, reaching for the coffee and the pro-plus. As you’ve likely heard many times before – breakfast is the most important meal of the day. Aim to achieve a balance of food groups, most importantly including protein to kick start your day. 2. Get outside – Aim to spend at least a small part of your morning in the great outdoors. Whether you incorporate this into a regular exercise routine or simply get into the habit of drinking your morning coffee outside whilst reading the paper, spending time outside is proven to increase our happiness and productivity. 3. Hydrate – While many of us are in the unfortunate position of needing coffee to get up in the morning, kicking this habit can have huge benefits both on your productivity and your health. Trade out the coffee hit for something with less caffeine (you don’t need to eliminate it entirely) and make sure that you drink plenty of water to stay hydrated and get your brain functioning at top speed. Green tea is particularly renowned for its rejuvenating effects. 4. Get to work early – Getting to work just 15 minutes earlier isn’t going to have a huge impact on your morning routine. However, what it will impact is your whole outlook at work. An extra 15 minutes at the office to settle into your work, look through emails and plan the day ahead will leave you in a more relaxed, calm state when 9 am comes around. 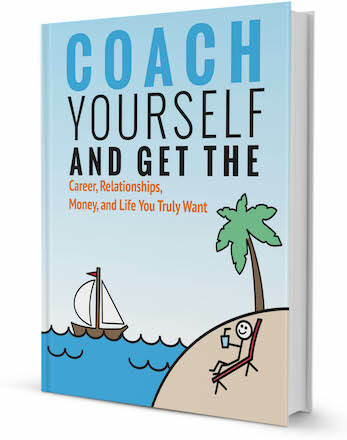 Thinking of hiring a career coach to help you maximize your productivity and get ahead in your professional life? Browse our directory of career coaches and get a FREE consultation or request a personalized coach recommendation!